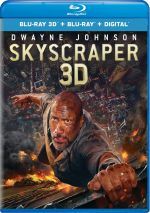 Skyscraper appears in an aspect ratio of approximately 2.40:1 on this 4K UHD Disc. This became a largely strong image. In terms of palette, Skyscraper favored a combination of teal and orange. Those choices came as no surprise, and the disc reproduced them in a satisfactory manner, with a bit of a boost from the 4K’s UHD capabilities. Visuals showed moderate improvements, as the 4K UHD appeared a bit better defined and showed more dynamic blacks and colors. While the 4K UHD looked better than the Blu-ray, I can’t claim it gave us a substantial upgrade, as it displayed only incremental improvements. The 4K UHD definitely offered superior picture but it wasn’t a night/day change. 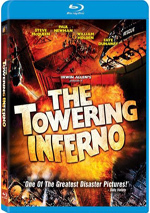 A second disc provides a Blu-ray copy of Skyscraper. It includes the same extras as the 4K and also opens with ads for Jurassic Park: Fallen Kingdom, Mamma Mia! Here We Go Again and Mile 22. 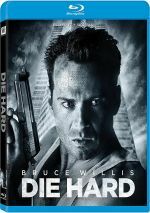 No trailer for Skyscraper appears here. 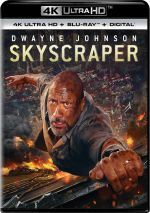 With its mash-up of Die Hard and The Towering Inferno, Skyscraper seems ripe to offer high-flying disaster-oriented thrills. Every once in a while, the movie entertains despite itself, but so much of the film comes across as idiotic and absurd that it only occasionally manages excitement. The 4K UHD offers very good picture and audio along with supplements highlighted by an excellent commentary. Skyscraper offers a mediocre action film that works fairly well on 4K UHD.